Our company is based in the college town of Northampton, Massachusetts, a town with a very strong culture of “buy local” and “buy small” ingrained in the social fabric. Walking down Main Street you can count on one hand the number of chain stores found here; small businesses dominate. But in this tight economy, how does a small business that can’t or won’t deep discount compete against the large online retailers? How can they keep their existing customers motivated without slashing their prices, let alone grow? And how can my firm deliver a compelling website solution that helps these businesses succeed within their small business budget? Blogger is a hidden gem in the area of website development, providing advanced services for customers at a greatly reduced cost. Behind every Blogger blog is built-in Content Management System (CMS) functionality which provides for most customer needs where a unique CMS is unnecessary. With the added benefits of Google-backed hosting, built-in security and an easy to use editor, it further lowers the learning curve for any customer's management of their site while being feature rich, intuitive, and customizable. As these services are provided by Blogger without cost, there is already a significant return on investment before any custom templating or other advanced development services are required. Blogger can easily be used to create the “standard” 5 page corporate website, but a Blogger solution can also be used to great effect to engage a company's customers and fans. Using the native blogging functionality, it can alert your customers to new products, services and events, establish you as an expert through informative articles, showcase your achievements, and even make your business more approachable by highlighting your friendly and knowledgeable employees. make the site as easy as possible for the business to maintain. A Blogger-based solution empowers these small businesses while still being customizable, affordable, easy to maintain, secure and stable. A restaurant group and consulting company that uses their site and blog functionality to showcase their restaurants, discuss their service offerings, announce new press and events, and alert their fans to specials. 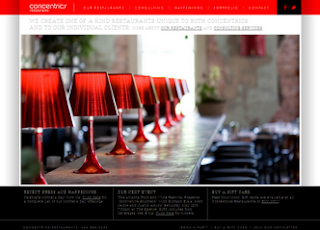 Their restaurants are unique experiences; the website was designed to capture the beauty of the spaces and the food and tempt new customers to experience it for themselves. An artisan gallery that uses blog posts to showcase new artists and products in their store, providing additional context to the products in their online shop and giving existing customers a reason to stop by and check out what’s currently in the gallery. The Blogger site brought in such great traffic from far outside the normal customer area that Pinch decided to open up a web store that has been a huge success. A boutique clothing store that also doubles as a fashion blog discussing trends and featuring new clothing and accessories in their store, along with spotlights on local inspirational women, charities that they support, and their monthly Arts Night Out events. 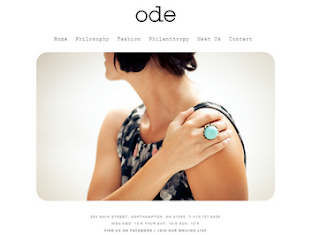 The site follows their mission of “marrying fashion, philanthropy, art and community in order to create an inspiring place to be and to shop”; each photograph, story, inspiration board, article or event that gets posted on their site advances their mission and their business. A true mom-and-pop bakery that writes about new seasonal offerings, communicates their ordering schedule for holiday products, and throws in some philosophical pieces that you know the baker was mulling over as he waited for the bread to rise. 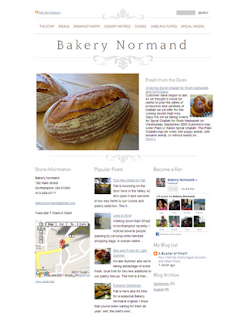 The Bakery waited until 2011 to have a website (after being in business 30 years!) 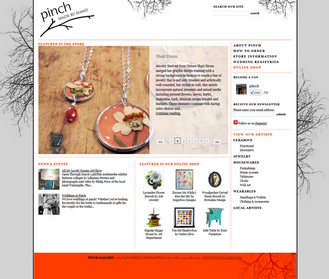 and since the site has launched has jumped right in and begun using it to the fullest. It even encouraged the baker to experiment with new products because he wanted to post new pictures and product stories on his website! Step 1: writing articles, posting photographs, and creating content engages your customers and potential customers; a Blogger site provides the perfect platform as it was built for blogging. Step 2: creating easy ways for your fans to follow you to get notified of new content (new products, service updates, specials, events, etc.) through "follow by email", RSS feeds, fan pages (Google+, Facebook, Twitter, etc. ); Blogger provides these social media sharing functionalities out of the box. Step 3: getting found through search engines and local searches; being a Google product has its benefits and Blogger has added additional tools for optimizing your site for search engines. If you’re curious about using Blogger for your business you can view this Hangout on Air about Blogging for Your Business or read additional articles that we’ve written on the subject. Editor’s note: this is a guest post from David Kutcher, co-owner of Confluent Forms LLC and Business Blogger whiz.